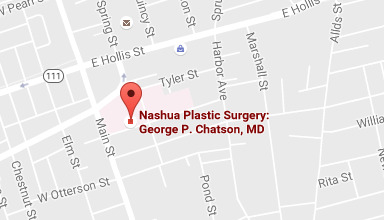 If you are suffering from cumbersome, heavy breasts, board-certified Massachusetts and New Hampshire plastic surgeon Dr. George P. Chatson can reduce breast tissue and restore a symmetrical and balanced appearance with breast reduction. Better still, due to the medical problems caused by overly-large breasts, this breast surgery is usually covered by health insurance. Overly-large breasts can present both aesthetic and physical difficulties. Breasts that are too large for your frame can detract from your natural curves, making you look heavier while also reducing both clothing options and feelings of appeal. In addition, heavy breasts can pose a medical problem by causing excess tension in the neck and back. It is common for women with large breasts to experience additional pain from bra straps that cut into their shoulders due to the excess weight they are supporting. It is also important that you have realistic expectations. Breast reduction is a great way to restore balance to your body and improve your physical comfort, but it is a surgical procedure and will result in visible scarring. While Dr. Chatson takes every care to minimize these scars, it is likely that they will be noticeable even months after your procedure. Scar management techniques such as scar cream massage and gel pad application are utilized to achieve the best scar healing possible. Dr. Chatson will tailor your breast reduction to meet your body's unique needs. Making only those incisions necessary and taking care to make them inconspicuous, he will do everything possible to ensure good-looking results. During your initial consultation, Dr. Chatson will fully explain what you can expect following breast reduction surgery. 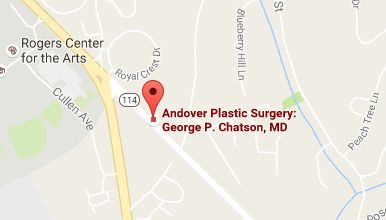 If you are interested in learning more about the benefits of breast reduction and live in Andover or Lowell, Massachusetts, or Nashua, Salem, or Manchester, New Hampshire, or the surrounding areas, please contact George P. Chatson, MD, to schedule an initial consultation today. You can fill out the form on this page or call us in Massachusetts at 978-687-1151 or in New Hampshire at 603-882-2103 .